Triangle is called a geometrical figure with three sides and three angles. Finding all these six elements of the triangle is one of the tasks of mathematics. If you know the lengths of the sides of a triangle, then using trigonometric functions we can calculate the angles between the sides. 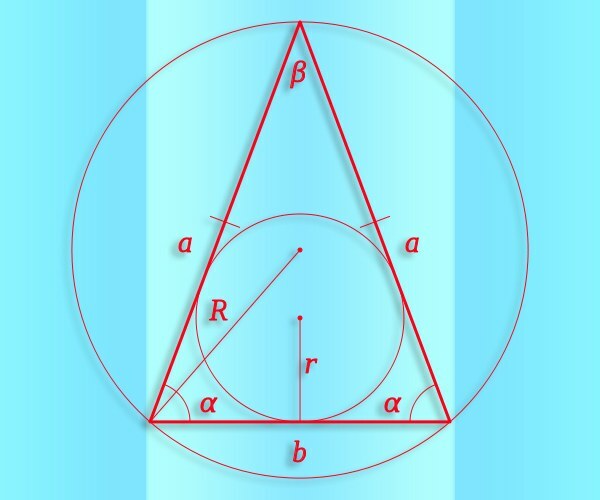 Let's consider a given triangle with sides a, b, and C. the sum of the lengths of any two sides of a triangle must be greater than the length of the third side, i.e. a+b>c, b+c>a and a+c>b. And need to find the degree measure of all angles of this triangle. Let the angle between sides a and b are designated as α, the angle between b and c as β, and the angle between c and a as γ. The theorem of cosines is: square the lengths of sides of a triangle is equal to the sum of the squares of the lengths of the other two sides minus twice the product of these side lengths into the cosine of the angle between them. That is, make up three equations: a2=b2+c2−2×b×c×cos(β); b2=a2+c2−2×a×c×cos(γ); c2=a2+b2−2×a×b×cos(α). From the obtained equations Express the cosines of the angles: cos(β)=(b2+c2−a2)÷(2×b×c); cos(γ)=(a2+c2−b2)÷(2×a×c); cos(α)=(a2+b2−c2)÷(2×a×b). Now we know the cosines of the angles of a triangle to find themselves angles use the tables Bradis or take from these expressions arccosine: β=arccos(cos(β)); γ=arccos(cos(γ)]; α=arccos(cos(α)). For example, let a=3, b=7, c=6. Then cos(α)=(32+72-62)÷(2×3×7)=11/21 and α≈58,4°; cos(β)=(72+62-32)÷(2×7×6)=19/21 and β≈25,2°; cos(γ)=(32+62-72)÷(2×3×6)=-1/9 and γ≈96,4°. This task can be solved in another way via the area of the triangle. First, find properiter triangle according to the formula p=(a+b+c)÷2. Then calculate the area of a triangle by Heron's formula S=√(p×(p−a)×(p−b)×(p−c)), that is, the area of a triangle is equal to the square root of the product of properiety triangle and the differences of properiety and each of the sides of the triangle. On the other hand, the area of a triangle equals half the product of the lengths of two sides the sine of the angle between them. 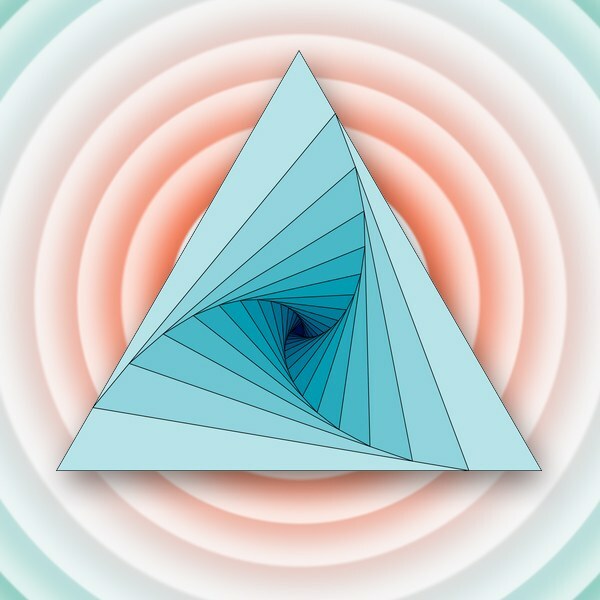 It turns out S=0,5×a×b×sin(α)=0,5×b×c×sin(β)=0,5×a×c×sin(γ). Now from this formula we Express the sines of the angles and the substitute was obtained in 5 steps value of the area of a triangle: sin(α)=2×S÷(a×b); sin(β)=2×S÷(b×c); sin(γ)=2×S÷(a×c). Thus, knowing the sines of the angles to find the degree measure use the table Bradis or count arctinus these expressions: β=arccsin(sin(β)); γ=arcsin(sin(γ)]; α=arcsin(sin(α)). For example, suppose that we are given the same triangle with sides a=3, b=7, c=6. Properiter is p=(3+7+6)÷2=8, area S=√(8×(8-3)×(8-7)×(8-6))=4√5. Then sin(α)=2×4√5÷(3×7)=8√5/21 and α≈58,4°; sin(β)=2×4√5÷(7×6)=4√5/21 and β≈25,2°; sin(γ)=2×4√5÷(3×6)=4√5/9 and γ≈96,4°. The sum of the angles of a triangle always equal 180 degrees. Therefore, we can only compute two corners of the triangle, and the third is obtained by subtracting from 180 the sum of these two angles. If you know the coordinates of all three vertices of the triangleof a square, you can find its angles. The coordinates of a point in three-dimensional space - x,y, and z. However, three points which are vertices of the triangleof the polygon, we can always draw a plane, so in this problem it is more convenient to consider only two coordinates, x and y, considering the z coordinate for all points is the same. Let the point A of the trianglepolygon ABC has coordinates x1, y1, point B of this tregon - coordinates x2, y2 and point C coordinates x3, y3. What are the x and y coordinates of the vertices of the triangleof a square. In a Cartesian coordinate system with mutually perpendicular axes X and Y from the origin it is possible to hold the radius-vectors for all three points. The projection of the radius-vectors on the coordinate axes and will give the coordinates of the points. Let r1 is the radius vector of point A, r2 is the radius-vector of point B, and r3 is the radius-vector of the point C.
It is obvious that the length of the side AB is equal to |r1-r2|, the length of side AC = |r1-r3|, a, BC = |r2-r3|. Therefore AB = sqrt(((x1-x2)^2)+((y1-y2)^2)), AC = sqrt(((x1-x3)^2)+((y1-y3)^2)), BC = sqrt(((x2-x3)^2)+((y2-y3)^2)). 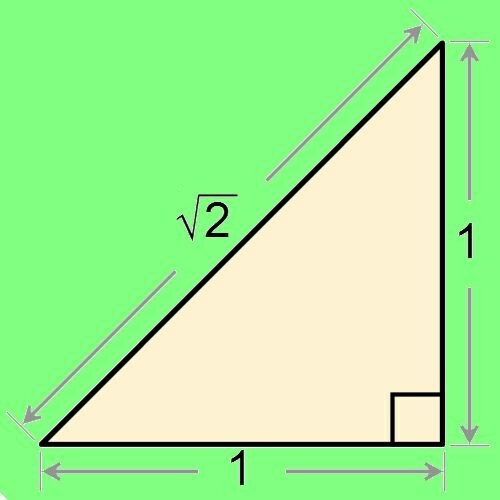 To build a triangle by two sides and angle need one prerequisite - it must be the angle between the known sides, otherwise the problem has no solution. For the practical implementation of build will be enough for any plane (e.g. 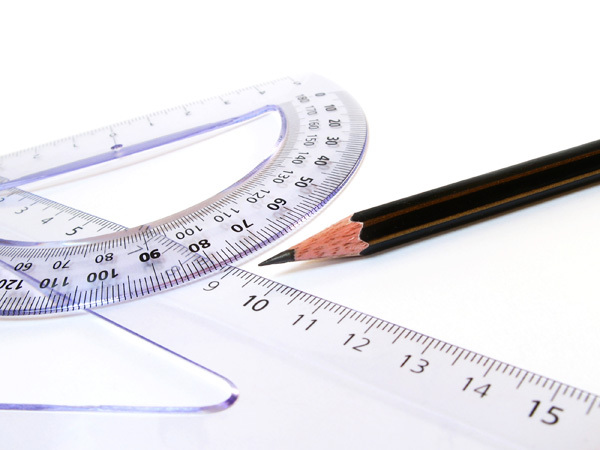 a sheet of paper), writing instrument (pencil fit to paper), rulers with division sufficient for baseline accuracy and a protractor. Formulate the task easy to describe terms. For example, the parties designate as the side AB and the side BC, the angle between them as the angle "β" (beta). Place on a sheet a point - it will be the top of the triangle, the angle between the adjacent sides of which you are aware. The side you have designated as AB and BC, so this point should be considered a top B - this should be the total. Guide using the line segment starting from point B. the Length should be equal to the length of the known sides of the triangle. For example, let it be the party designated in the conditions as BC. This way you will build one of the sides of the required triangle. The end point of this segment indicate as the top C.
Place the protractor held parallel to the segment so that the center of the protractor coincides with the point B and put on worksheet a supporting point opposite the division of the protractor that corresponds to the specified corner β. Place a ruler zero mark to the point B, so that it was possible to draw a direct line between it and the auxiliary point. Place on a sheet point opposite the dividing line, which corresponds to the length of the second side of the triangle. This side is indicated in conditions like AB, then the set point will be A vertex of the sought triangle. Draw a line segment between the marked on the sheet by the points B and A. in This way you will build the second side of the triangle is known in terms of length. Attach a line so that connecting points A and C, and swipe between them the cut. This is the only side whose length is not known for this task. It is logical to designate it by the letters AC. 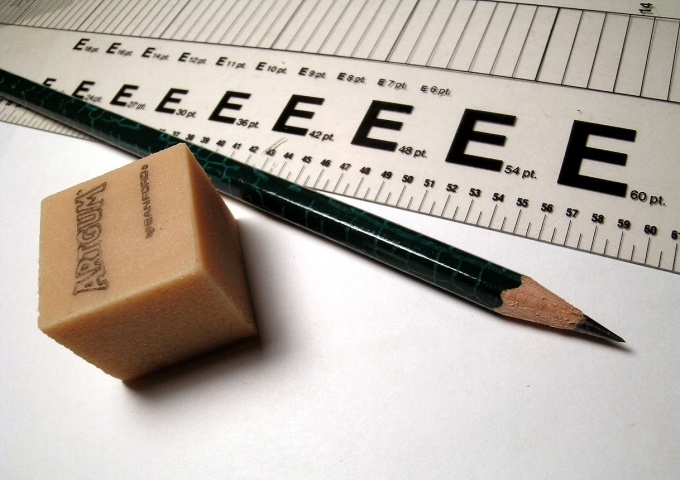 If you need to know the length, use a ruler. And using the protractor you can measure the former in terms of the problem of the unknown angles at the vertices A and C adjacent to this side. Side is the side of a right triangle adjacent to the right angle. You can find it by using the Pythagorean theorem or the trigonometric relationships in a right triangle. You need to know the other sides or corners of this triangle. If in a right triangle the hypotenuse is known and one of the legs, the second leg find using the Pythagorean theorem. Since the sum of the squares of the legs a and b equals the square of c the hypotenuse (c2=a2+b2), performing simple conversion, will receive the equality to find unknown side. Designate the unknown side as b. To find it, find the difference of the squares of the hypotenuse and the known leg, and from the result select the square root b=√(c2-a2). If in a right triangle length of the hypotenuse and one of the acute angles, use the properties of trigonometric functions in order to find the right leg. If you want to find the side adjacent to a known corner to find it, use one of the definitions of the cosine of the angle that says that he is equal to the ratio of adjacent sides of a to the hypotenuse c (cos(α)=a/c). Then to find the length of side, multiply the hypotenuse the cosine of the adjacent leg to the angle a=c∙cos(α). If you need to find the leg opposite the acute angle, use the same method of calculation, only the cosine of the angle in the formula change for its sine (a=c∙sin(α)). For example, using the previous problem, find the length of the side opposite the acute angle of 30º. Using the proposed formula, we get: a=c∙sin(α)= 6∙sin(30º)= 6∙1/2=3 cm. If you know one of the other two sides and an acute angle, to calculate the length of another use the tangent of an angle which is equal to the ratio of opposite over adjacent. Then, if a is the leg adjacent to the acute corner, find it by dividing the opposite side b to the tangent of the angle a=b/tg(α). If the leg protivorechit a sharp corner, it is equal to the product of the known side b on the tangent of an acute angle a=b∙tg(α). An isosceles triangle is a convex geometric figure with three vertices and three connecting segments, two of which have the same length. A sine is a trigonometric function that can be used for the numerical expression of the relationship between the ratio of side lengths and angle measures in all triangles, including isosceles. If the data is a known value of at least one angle (α) in an isosceles triangle, it will allow you to find the other two (β and γ), and hence the sine of any of them. Based on the theorem about the angle sum, which says that in the triangle it must be equal to 180°. If the angle of known value lies between the lateral sides, the magnitude of each of the other two equal half the difference between 180° and an angle are known. It means that you can use in the calculation of such an identity: sin(β) = sin(γ) = sin((180°-α)/2). If you know the angle adjacent to the base of the triangle, this identity splits into two equations: sin(β) = sin(α) and sin(γ) = sin(180°-2*α). Knowing the radius (R) of the circle described around this triangle, and the length of any of the parties (for example,) without resorting to the computation of trigonometric functions to calculate the sine of the angle (α) lying opposite this side. Use the theorem of sines - from this it follows that the desired value is equal to half the ratio between the side length and radius sin(α) = ½*R/a. Known area (S) and length side (a) of an isosceles triangle will calculate the sine of the angle (β) lying opposite the base of the figure. To do this, double the area and divide the result by the squared length of the sides: sin(β) = 2*S/a2. If in addition the lengths of the sides are known and the length of the base (b), a square can be replaced by the product of the lengths of these two sides: sin(β) = 2*S/(a*b). If you know the lengths of the sides (a) and base (b) isosceles triangle to calculate the sineand the angle at the base (α) it is possible to even use the theorem tothe sine ofs. From this it follows that tothe sine of this angle is equal to half of the ratio of the length of the base to the length of the sides: cos(α) = ½*b/a. Sinus and cosinus connected by the equation: sin2(α) = 1-cos2(α). Therefore, to calculate the sineand extract the square root of the difference between one and a quarter ratio of the squares of the lengths of the base and the side: sin(α) = √(1-cos2(α)) = √(1-¼*b2/A2). The lengths of the sides of the triangle are associated with angles at the vertices of the figure using the trigonometric functions - sine, cosine, tangent, etc. These relations are formulated in the theorems and definitions of functions by using acute angles of the triangle from a course of elementary geometry. Using them, you can calculate the magnitude of the angle at the known lengths of the triangle sides. To calculate any angle of an arbitrary triangle the lengths of whose sides (a, b, c) is known, use the theorem of cosines. She argues that the squared lengths of any sides is equal to the sum of the squares of the lengths of the other two, from which is subtracted twice the product of the lengths of these two sides to the cosine of the angle between them. To use this theorem it is possible to calculate the angle at any vertex, it is important to know only its location relative to the sides. For example, to find the angle α, which lies between the sides b and c, the theorem must be written as follows: a2 = b2 + c2 - 2*b*c*cos(α). Express from the formula cosine of the desired angle: cos(α) = (b2+c2-a2)/(2*b*c). To both sides of this equality, apply the inverse cosine the inverse cosine. It allows the cosine to recover the value of an angle in degrees: arccos(cos(α)) = arccos((b2+c2-a2)/(2*b*c)). The left part can be simplified and the calculation formula of the angle between the sides b and c will become the final form: α = arccos((b2+c2-a2)/2*b*c). When the values of the acute angles in a right triangle knowing the lengths of all sides is not necessarily enough two of them. If the two sides are the legs (a and b), divide the length of that which lies opposite to the sought angle (α), the length of the other. So you will get the value of the tangent of the desired angle tg(α) = a/b, and applying to both sides the inverse function - inverse tangent and simplifying as in the previous step, the left side, print the final formula: α = arctg(a/b). If you know the sides of a right triangle - the side (a) and the hypotenuse (c), to calculate the angle (β) formed by these sides, use the cosine function and its inverse - the inverse cosine. The cosine is the ratio of the length of the leg to the hypotenuse, and the formula in its final form can be written as: β = arccos(a/c). To calculate for the same source data as an acute angle (α) lying opposite the known sides, use the same ratio, replacing the arc cosine the arc sine: α = arcsin(a/c).